2011 - 2012 - 2013 - 2014 - 2015 Angie's List "Super Service Award" winner! Serving clients from surrounding areas of Missouri and Kansas including Prairie Village, Mission Hills, Overland Park, Lenexa and more. Now, thanks to the Dexis Digital X-ray system, X-rays at Hollie Flack DDS, are faster, safer, and more effective than ever before! Read about it on our "What's New in the Office" page. When you visit our Kansas City dental office, your smile is our top priority. Hollie Flack DDS & his entire team is dedicated to providing you with the personalized, gentle care that you deserve. Along with all the general dental services that you and your entire family require, Hollie Flack DDS also offers the most popular cosmetic dental procedures that you have been searching for such as dental implants, porcelain veneers, tooth whitening and full smile makeovers. 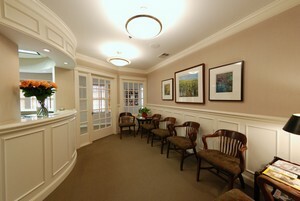 Our Kansas City dental office & has been designed for your comfort and you can expect to feel pampered here. Getting your smile in shape is an experience we intend to make surprisingly pleasant for you. Hollie Flack DDS treats each patient with the courtesy, respect, and individualized care that he or she deserves. Customer service is always our top priority. Whether it's time for a checkup, or you need cosmetic or restorative dental procedures, the open cheerful atmosphere of our practice and attention of our staff will create a relaxing and fulfilling experience. Part of our commitment to serving our patients includes providing information that helps them to make more informed decisions about their oral health needs. This website is a resource we hope you’ll find both useful and interesting. We have tried to anticipate some of your questions and provide you with information that will be helpful in making educated choices concerning your dental health and your smile. Kansas City Dentist, Dr. Jay M. Hodge is dedicated to cosmetic dentistry such as Exams, Teeth Whitening, Veneers and more. We are looking forward to your visit to our Kansas City, Missouri dental office.